A few weeks ago, I was contacted and asked if I would design artwork for a couple of their window bags. I chose the tote, and was able to do several designs. The pocket is actually a window that you can insert your artwork. Then add a few embellishments. You can change the art whenever you want a new look! Here is a link to their website, and a gallery which features more of my designs. Oh, what fun these bags must be to use!...one for every mood! Excellent, they must have loved them at Daily Window! I sure do! Very nice bags Rande. Congrats on being on the cover of Somerset gallery. Your owrk is alwasy stunning. WOW! Terrific bags. Love them all! These are just fricking fantastic!! Bravo!!! 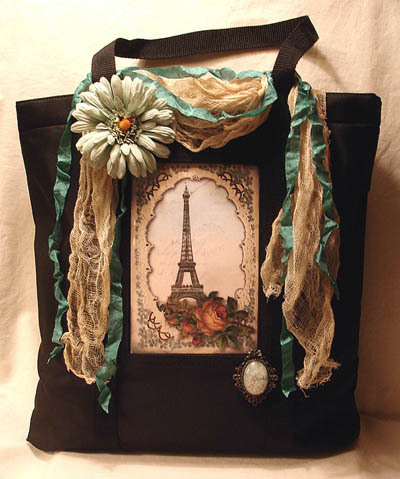 I just stopped by after seeing your article in Artful Blogging. 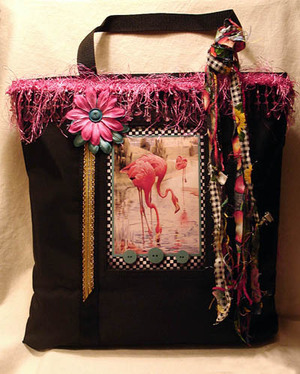 I have to say, I absolutely LOVE your fabric collages. I just started experimenting with fabric collages. I have a lot to learn, but I'm ever so excited to read what you do to help in that learning process. Thanks so much for all the great work you have here! 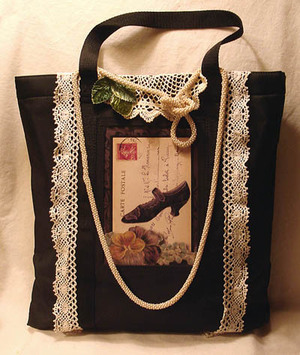 Very cool bags - great settings for whatever art one chooses! 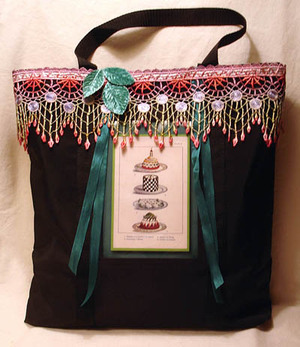 Congratulations on being asked to design these bags, they are beautiful designs and look amazing on the web site. I really love how you can change the artwork by slipping another image into the pocket, so cool!